Holiday Table Runners - Beanies - Lab Coats - Scrub Tops- And So Much More! Call Today & Ask For Barb! Want to make someone feel really special this holiday season? Skip the generic gift certificate and the boring pair of socks and get a personalized gift instead! Do you have a hard time each year deciding what to get everyone on your Christmas list? Are one of your friends or family members hard to shop for? Go with personalized gifts. Everyone will appreciate the thought and care that you put into your gift. Perhaps it’s even happened to you—your Aunt Sue and your Aunt Marge got you the same sweater, and you’re stuck returning one of them. Avoid this problem with a personalized gift—we guarantee the recipient won’t have received the same thing from someone else. Getting someone a personalized gift shows them just how special they are to you. Your friend or loved one will feel extra-appreciated knowing that you took the time to think of something that speaks to them as a one-of-a-kind person. 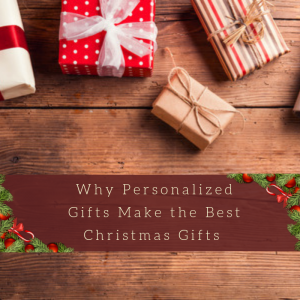 Whereas other gifts might be forgotten by next Christmas, your personalized gift will be treasured for many years to come. Want to give someone the ultimate personalized gift? Why not put professional custom-embroidered apparel or accessories under the tree this year? Check out Barb’s Custom Embroidery for high quality and affordable prices. Give us a call at 541-601-0594 to get a quote and place your order! Happy Holidays! Want to create a high-quality, long-lasting design to adorn custom-designed apparel or accessories? Go for embroidery over screen printing every time. 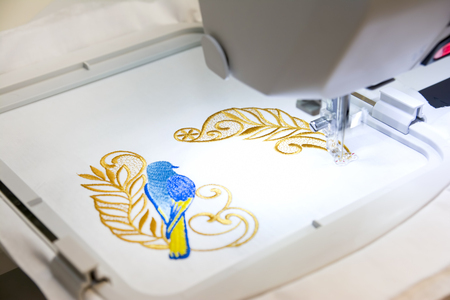 With embroidery, you typically pay a flat fee for your setup cost, regardless of the number of colors in your logo. With screen printing, you typically pay per color, since a different screen is needed for each color. If you like a lot of bright, vibrant colors (and who doesn’t?) this could save you a significant amount of money. Unlike screen printing, which tends to crack or fade over time, embroidered designs won’t fade away over the course of multiple washes and numerous years. Screen printing just won’t work well on some fabrics, like fleece and fuzzy fabrics. Because these fabrics are uneven, screen printing will flake off. Try embroidery instead! Embroidery is a better choice for corporate apparel because it is perceived to be more professional and prestigious. We think it adds classy flair to any type of garment or accessory! There’s no doubt about it—embroidery is the better choice. If you’re interested in creating custom-embroidered apparel or accessories at affordable prices, check out Barb’s Custom Embroidery. Barb’s motto is: If we can punch a hole in it, we can embroider it! Call us at 541-601-0594 to get a quote and place an order today! If we can punch a hole in it, we can embroider it!